For the first time Frank Darabont, Director of Shawshank Redemption and The Mist spoke with TVguide.com about his unfortunate dismissal from AMC’s The Walking Dead days after his appearance at the San Diego Comic-Con. Fans of Darabont and The Walking Dead were outraged at AMC’s decision to release the person that helped bring The Walking Dead to life. At first AMC refused to explain why they gave him the axe, which only fueled the fire. Months later we learned Darabont’s release was due to him wanting to spend more on outdoor shooting, but the network was looking to cut or reduce the shows budget. 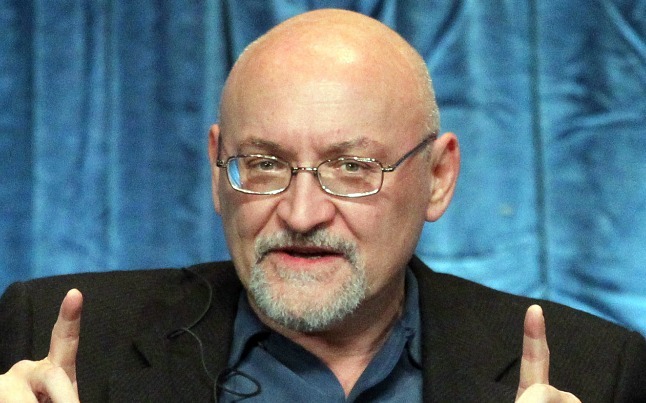 Darabont is now working on a new TV show for TNT titled L.A. Noir. The show is based on the book by John Buntin’s titled “L.A. Noir: TheStruggle for the Soul of America’s Most Seductive City”. The show is based on a fictional cop named Joe Teague caught in the middle between mob boss Mickey Cohen and police chief William Parker. Both Parker and Cohen were real figures who battled for control of the city in the era this show takes place. Frank may have made an early exit from The Walking Dead, but he will continue on doing what he does best. This is kind of sad. As a fan of the show, I noticed that the Season 1 episodes were truly epic in storytelling and direction. Then in Season 2, the episodes slowed WAY down in story progression and new revelations…especially since the characters spent 70% of their time on a farm. I’m really hoping that the departure of Frank Darabont doesn’t turn the enormous potential of this show into a dragging corpse…similar to what happened to Lost after the 2nd season. Darabont was actually the one who put the ideas in place for the first 7 episodes of season two. It wasnt till 8 and on that Darabonts ideas were no longer used. And from episode 8 and on it was much faster paced, in different locations and new revelations. This all being done by the new director. No doubt Darabont was great but this new guy i think understands the show just as well. i personally liked season two better than season one, save for the pilot episode. Darabont i believe made the best pilot episode ever.